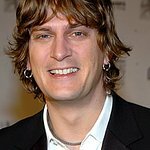 The Humane Society of the United States will honor Sidewalk Angels Foundation, founded by Grammy Award-winning artist Rob Thomas and his philanthropist wife Marisol Thomas and luxury beauty brand Moroccanoil at its 2017 To the Rescue! New York gala. The gala, which celebrates The HSUS’ animal rescue efforts, including its important disaster response work in the wake of hurricanes Harvey, Irma and Maria, will take place on Friday, Nov. 10, 2017 at Cipriani 42nd Street. Sidewalk Angels Foundation is dedicated to providing critically needed funds and support to more than 20 no-kill animal shelters and rescues across the country and in the Caribbean, that help fight for the rights and fair treatment of those who can’t fight for themselves. The Foundation also works with homeless shelters that provide for the displaced by meeting the physical needs of people and their pets in crisis so that families in need are not forced to give up their pets. Moroccanoil Co-founder Carmen Tal’s personal passion and love for animals has helped shape the company’s values and commitment to charitable causes. The company’s champion philanthropic effort is its INSPIRED BY WOMEN project, which highlights lifesaving animal rescue work. Furthermore, Moroccanoil continues to directly support animal relief and rescue efforts on a global scale. For more information, sponsorships, tables, and tickets, visit www.501auctions.com/totherescueny.